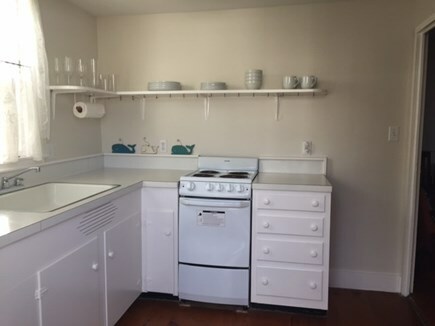 North Kitchen has seating for four and doorway to fenced yard. 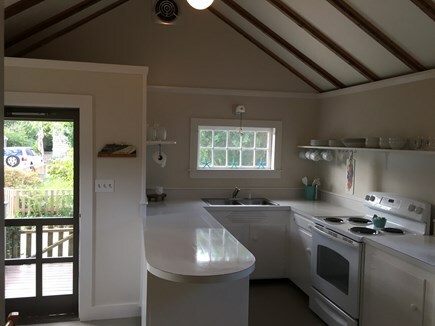 North Kitchen with separate door to back yard. North Master with king bed and powder room. North Master with wood burning fireplace. Reading room off North Master bedroom. North dormer with two twin beds. North dormer with single twin bed. South Living Room with sitting area and dining table. South Kitchen with separate entry. 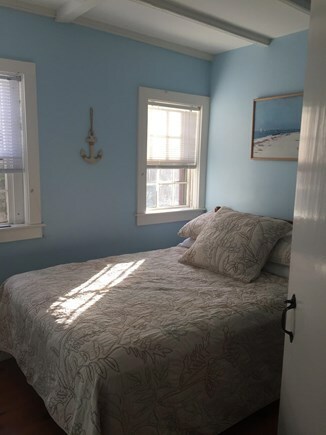 South Master Bedroom has full bed and powder room w/ shower. South Dormer with two twin beds and separate stairwell. Fenced backyard with beautiful mulberry tree. Beach: 1/10 mile to Sconset Beach. 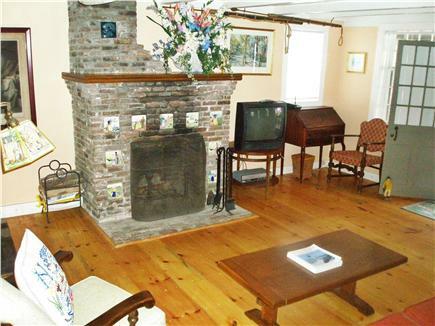 Ivy Lodge is one of the few duplexes on the island located in the heart of historic Siasconset. 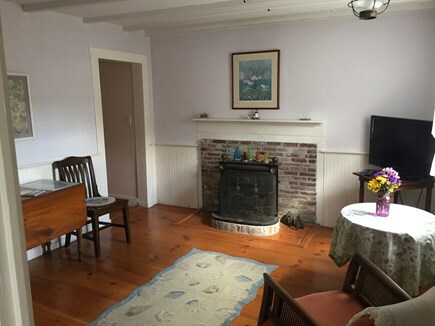 Our cottage features antique pine floors, seven foot beamed ceilings and a charming covered porch overlooking a lovely garden and brick patio. 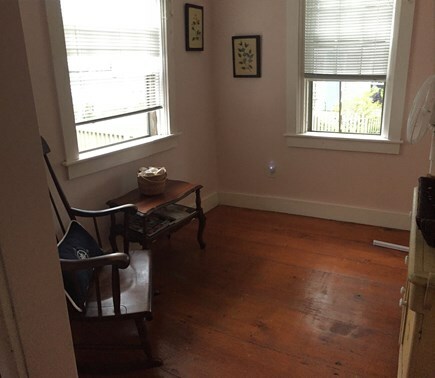 This property also has a small fenced in backyard facing Shell Street. There are two sides to this home which is a great layout for a family. 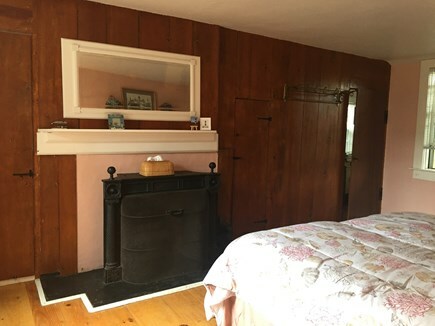 Ivy North's first floor has a comfortable living room with wood burning fireplace, kitchen with dining area, full bath, master bedroom with 1/2 bath & fireplace. 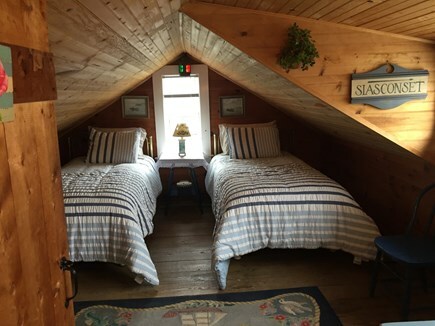 Second floor has two bedrooms - the first with twin beds, the second has a single twin bed. Ivy South's first floor has a cozy living room with fireplace, full kitchen, master bedroom and bath, reading room and washer/dryer units. 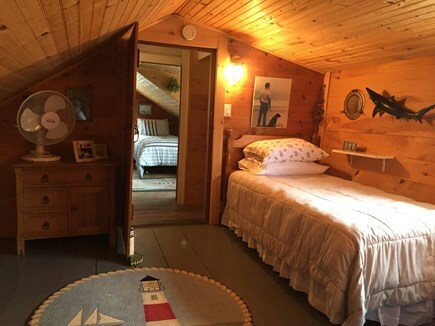 Second floor bedroom has twin beds. **Two sets of stairs lead to the second floor which has a pitched ceiling. 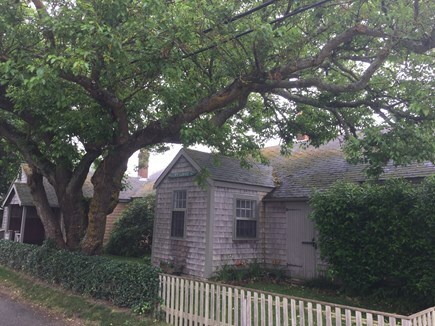 Siasconset is known for its rose-covered cottages and postcard-perfect charm. Travelers who are looking for the quintessential Cape Cod vacation - look no further! 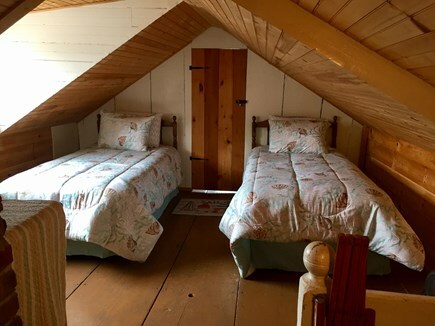 Our rental cottage offers privacy, convenience and is ideal for a family vacation. 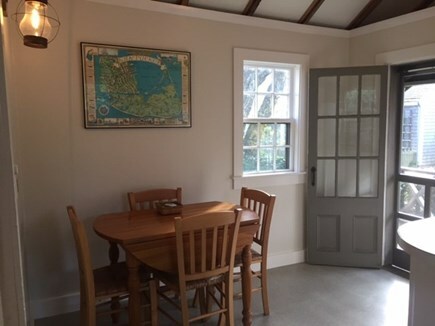 Families and friends can travel together and each enjoy the privacy of staying on the north or south side of the cottage by closing the interior doors. The quiet, narrow streets make 'Sconset especially children-friendly. Our backyard is fenced in as well. Nearest beach: 1/10 mile to Sconset Beach.